Credit: Photo provided by Mark Loux. 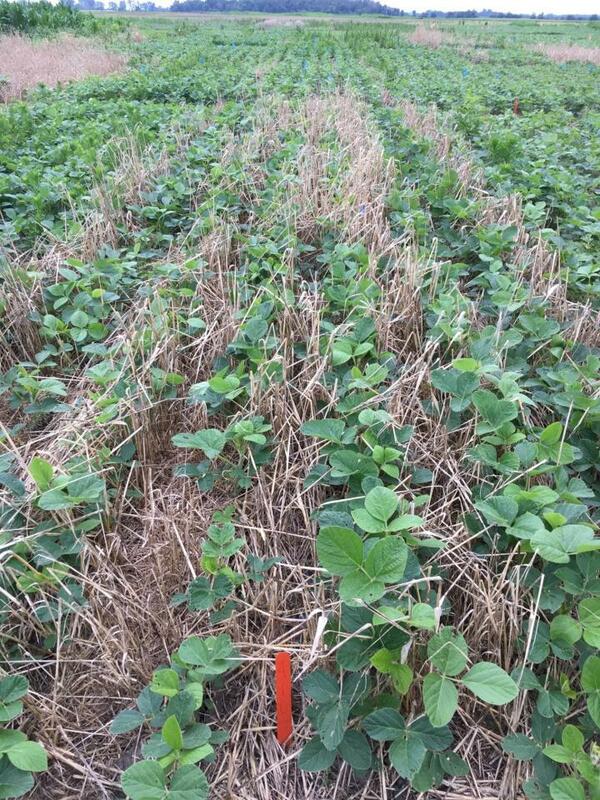 Fall-planted cover crops are often used as part of an integrated weed control program in herbicide-resistant soybean crops. But researchers writing in the journal Weed Technology say not all cover crops are equally effective against Palmer amaranth, waterhemp and other Amaranthus spp. weeds. Their conclusions follow a two-year, multistate study to compare the impact of cereal rye, spring oat, forage radish and annual ryegrass on weed control and crop yields. The study was conducted in areas with known infestations of Amaranthus spp. weeds. Two herbicide programs were used. The first involved a preemergence residual herbicide, followed by a postemergence application of a foliar and residual herbicide. The second program added a second postemergence application of residual herbicide. Researchers found there were no variations in weed control or in crop yields among the various cover crops used as part of an integrated control program with herbicides. Cereal rye, though, consistently reduced the density of Amaranthus spp. weeds, even in the absence of herbicides. "Cereal rye has the most potential to contribute to Amaranthus spp. control by reducing weed population density within the first month or so following soybean planting," said research team member Mark Loux of Ohio State University. "As a result, there is a better opportunity to reduce selection for weeds resistant to herbicides used in postemergence treatments. Cereal rye is also a great choice when weed density is high or when environmental conditions reduce herbicide effectiveness." Full text of the article, "Influence of Cover Crops on Management of Amaranthus spp. in Glyphosate- and Glufosinate-Resistant Soybean" is now available in Weed Technology Vol. 31, Issue 4, 2017.